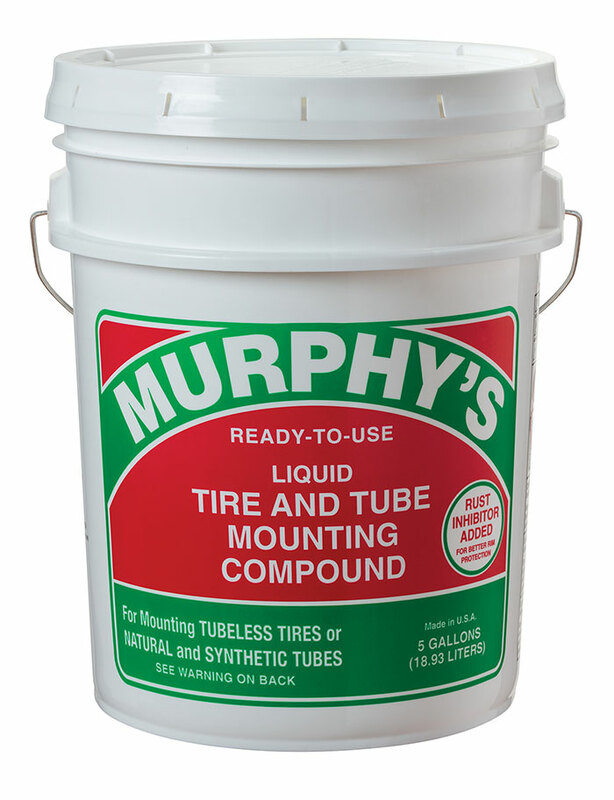 Murphy's Liquid Tire And Tube Mounting Compound is a ready-to-use liquid for easy application. This soap-based lubricant is easy to clean up and is non-toxic. Murphy's Liquid Tire And Tube Mounting Compound is designed to assist in mounting rubber tires and tubes on all types of wheels. It is fortified with rust inhibitors to provide protection against wheel corrosion. This mild formula is worker friendly.